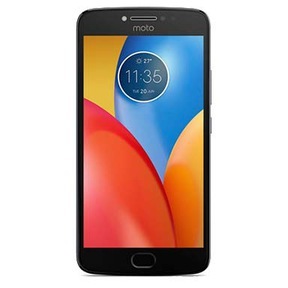 The Moto E4 Plus was another one in the budget E series of smartphones from Motorola. The device featured a 13 megapixel camera, Android 7.1 Nougat, a Snapdragon 427 quad-core processor and a 5000mAh battery that could last for days. In terms of specifications, the Moto E4 Plus packed in a decent 2GB RAM and 16 or 32 GB of storage at the time. While its battery life and low pricing was sure a blessing, overall it failed to impress many buyers. There were problems with the home button that doubled as a fingerprint sensor. Motorola had taken up too much in putting this device out. The 5.5 inch screen with a 1280 x 720 display gave its buyers some trouble too. Reading text became bothersome, and on top the unimpressive, 13 megapixel rear camera just added to the underwhelming experience of the device. With all these problems, it shouldn’t be a surprise if you’re looking to switch to a better version of Motorola or any other of its competitors. Fortunately for you, selling your used mobile online was never as easy as it is with Cashify! Why Sell Your Moto E4 Plus On Cashify? 1. Cashify’s portals asks you for a few specifications of your gadget – warranty, model, condition etc. 2. Once you have filled in the specifications, Cashify’s automated pricing mechanism generates a fair price for your gadget. Cashify’s exclusive exchange partnerships with smartphone giants such as – Xiaomi, Oneplus, and even Apple are testimony to the platform’s reliability. 3. Once the price is accepted by you, Cashify’s initiates a doorstep pickup and payment through one of its agents. 4. Based on your inputs, we offer you a fair price, complete with a doorstep pickup so you that you can easily sell old mobile phones while sitting at home. 4. The payment can be made in any form desired by you - be it cash, cheque or even e-wallet. The Moto E4 Plus almost had everything, but not enough to set it apart from the competition. Nevertheless, it can still fetch a good price to its owners. Cashify is the most trusted platform in India to sell mobiles online (and other gadgets too!) for instant cash on pickup.So , head to Cashify and try and sell you old Moto E4 Plus soon! Schedule a pickup now!